Could Stem Cells Cure MS? What’s the limit on what you can do with stem cells? Based on all the research surrounding them lately, experts are trying to find out. And one area that is particularly promising with stem cell therapy is multiple sclerosis. According to the National MS Society, multiple sclerosis is a progressive disease that occurs when the immune system attacks the central nervous system (CNS). This process is called immune-mediated. To be more specific, the person’s immune system will attack nerve fibers and the nerves’ myelin, the lining that surrounds nerve fibers. As you can imagine, once those nerve fibers are damaged, they may have difficulty translating messages and impulses. Some problems that can result are difficulties in walking, vision, balance and bladder control. Even then, the severity of these difficulties will vary greatly from person to person. Many times, a person with MS will suffer symptoms for a short time and then go into remission, says the National MS Society. Some symptoms may come and go while others may stay more permanently. In every case, though, the MS patient will need treatment to slow the progression of the disease. That’s where stem cell therapy comes in. Stem cell therapy for multiple sclerosis is an emerging field. Experts are increasingly interested in just what stem cells can do, and one study has gone far enough to reveal promising results. As reported in Newsweek, the new study involved over 100 patients with RRMS (relapsing-remitting multiple sclerosis). Each patient was evaluated by a neurologist based on their progression or improvement of the disease. However, neurologists did not know whether patients had received stem cell therapy or drug therapy. For the stem cell group, patients had stem cells collected a few days after starting drug therapy. The stem cells were then injected again inside the body to see if they could improve symptoms. In a presentation at the European Society for Bone and Marrow Transplantation, the study’s lead author revealed part of their astounding results. Over the course of the study, 60 percent of patients in the drug therapy group declined in progression. Only 6 percent of stem cell patients did the same, showing a superb difference in the two treatments. That difference alone is enough to raise some eyebrows and cause excitement. The National MS Society explains stem cells this way. A stem cell is a type of cell that can duplicate itself or break into several cells. The body can then use those cells for its various needs. There are different kinds, and several stem cells may prove useful for multiple sclerosis. For instance, one group called haematopoietic stem cells (HPCs) can break into cells that make up the blood and immune system. Other stem cells can specialize in the immune system, repairing damaged myelin. In theory, stem cells like these could replace damaged cells in the body. They could even restore the body’s function to its previous state. Experts likely don’t have all the answers for why stem cells may work. However, research is continually suggesting that stem cells may be the answer for MS. The simple fact that they can perform the way they do could change the outlook on multiple sclerosis for good. What researchers lack right now is in-depth knowledge about the long-term effects of stem cell therapy. The National MS Society mentions that tumors have been known to result from several types of stem cells. For MS, the therapy may be short-lived or may improve patients’ symptoms for good. If the therapy doesn’t help in the long-term, though, it could prove an expensive short-term option. In the follow-up on patients, other complications could arise too. The above study may have more insight on these questions in its future published report. Even now, though, experts recognize the dangers of stem cell transplants. Newsweek states that the above researchers still needed to report deaths from clinical trials to the Food and Drug Administration (the trials may or may not have been related to the MS study). 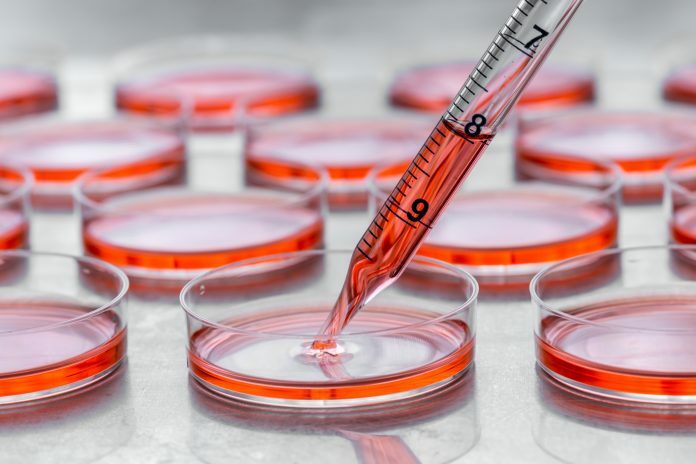 In other stem cell transplants, such as for cancer, patients increase their risk for infection, bleeding, hormone changes and more (American Cancer Society). If the patient receives stem cells from a donor, they also risk their bodies rejecting those stem cells. Stem cell therapy can be risky, to say the least. Researchers need to be convinced that the risk is well worth the results—and right now, that’s a possibility. If the study’s results pan out long-term, patients and doctors will likely wholeheartedly favor stem cell therapy for multiple sclerosis.